We are pleased to announce that the report from the IOCCG working group on “Ocean Colour Remote Sensing in Polar Seas“, chaired by Marcel Babin, Kevin Arrigo and Simon Bélanger, has just been published by the IOCCG (Report 16). Over the last 3 decades, spectacular impacts of climate change have been observed in the Arctic Ocean, including the receding of the summer ice cover by nearly 40%. The IOCCG WG addressed some of the difficulties encountered when using ocean colour remote sensing to study polar seas, and discussed specific algorithms for use in these environments, including algorithms used to estimate net primary production from space (four different algorithms compared). The WG also provided recommendations to mitigate the limitations of using ocean colour remote sensing in these environments. A large dataset of in situ observations of bio-optical properties in polar seas was also assembled by the working group to test the current ocean colour algorithms and understand which of the non-phytoplankton components affect band ratio algorithms. Polar regions differ from lower latitude oceans, and from each other, in the empirical relationships observed between surface concentrations of Chl-a and ocean colour radiometry. In the Southern Ocean, phytoplankton are the dominant drivers of optical variability, whereas in the Arctic Ocean the waters are optically complex, with dominant contributions of CDOM and non-algal particles from terrigenous sources. Report 16 is currently being printed by NOAA and will be mailed to subscribers on the IOCCG mailing list when available. An electronic copy of the report can be downloaded from the IOCCG website. The upcoming NASA PACE mission is planned to have a polarimeter and a hyperspectral imager. In preparation for the launch of PACE, the PACE science team is soliciting co-located spectral polarimetric Inherent Optical Property (IOP) and Apparent Optical Property (AOP) data as well as scalar hyperspectral IOP/AOP data to use for algorithm development and pre-launch studies. A comprehensive database of the contributed IOPs and AOPs will be assembled, published and made public in 2017. All contributors to this effort will be co-authors of the generated dataset. Please direct any questions, recommendations or comments to Cecile S. Rousseaux (Email: Cecile.S.Rousseaux@nasa.gov) and Emmanuel Boss (Emmanuel.Boss@maine.edu). The European Copernicus (www.copernicus.eu) Sentinel-2A mission was launched on 23 June 2015 and carries a Multi Spectral Instrument (MSI) with spectral bands between 443-2190 nm. Sentinel-2A is the first of a twin-satellite constellation that will operate for the next 15-20 years with a mission profile tuned to global terrestrial surfaces (see Drusch et al. 2012). The mission provides global land coverage every 10 days with one satellite, and every 5 days with two satellites. 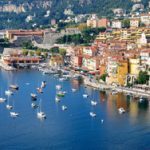 MSI also acquires data over the entire Mediterranean Sea, all closed Seas, inland water bodies and within 20 km of the coastline. 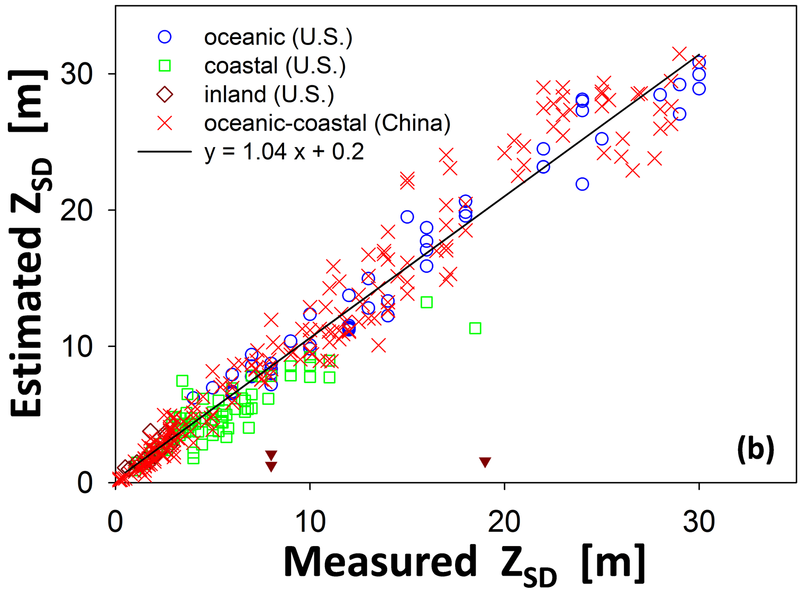 Fortunately for coastal oceanography, this means that if one pixel of the 290 km MSI swath lies within 20 km offshore, the entire swath is acquired taking the maximum distance offshore to ~300 km for most of the global coastline and small islands >100 km2! 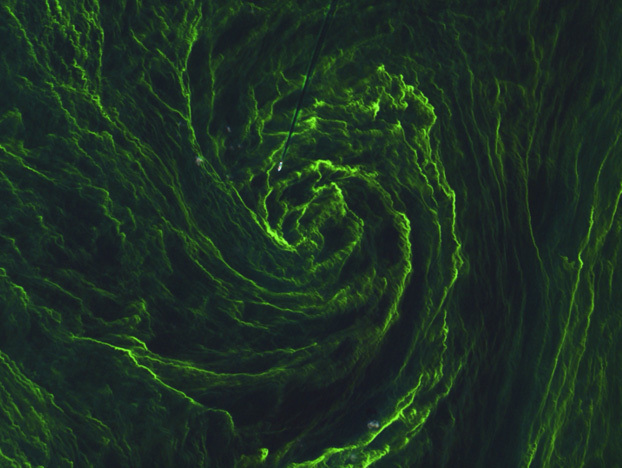 A spectacular example of the S2 MSI capability was recently published by ESA (see also below) revealing elegant mesoscale cyanobacterial patterns in the Baltic Sea at a resolution of 10 m. Following a successful commissioning review in Mid October 2015, open and free access to Sentinel-2A data will start at the end of October using the ESA Scientific Data Hub at: scihub.esa.int with read tools and analysis software through the ESA Sentinel Application Platform (SNAP): step.esa.int/main/toolboxes/snap. Sentinel-2A captured this detailed image of an algal bloom in the Baltic Sea on 7 August 2015 (click image to reach ESA announcement). Towards the end of 2015 the first of two Copernicus Sentinel-3 satellites will launch and will systematically map the global ocean and land surface using powerful optical and radar systems. Just like Sentinel-2, the Sentinel-3 constellation will operate for the next 15 – 20 years (using four satellites) with a mission profile tuned to global ocean surfaces (see Donlon et al. 2012). Sentinel-3 carries the Ocean and Land Colour Instrument (OLCI) based on the Envisat Medium Resolution Imaging Spectrometer (MERIS), but now featuring 21 distinct bands in the 400–1020 nm spectral region and an absolute accuracy of 2% (relative 0.5% using a dedicated on-board diffuser). With a swath width of 1270 km and a spatial resolution of 300 m per pixel collected over all surfaces, OLCI marks a new generation of global coverage multi-spectral satellite measurements of ocean colour. Two satellites are required on-orbit at the same time to meet the demanding 2-3 day sun-glint free, global ocean colour coverage requirement. Sentinel-3B is expected to join Sentinel-3A on orbit ~18 months after the Sentinel-3A launch. Currently Sentinel-3A is preparing for shipment to the Plesetsk cosmodrome in Russia for launch at the end of the year. Open and free access to Sentinel-3A data will start at in mid-2016 using the ESA Scihub and the SNAP toolboxes. The EUMETSAT Marine Centre will provide access to datausing a variety of mechanisms including the Online Data Access, EUMETCast and the EUMETSAT Data Centre. Copernicus is now powering ahead and is starting to deliver the bigger picture for observing the Earth, and a step change for ocean operations and science through sustained ocean colour measurements from 8 satellites for the next decade and a half. Several new employment positions have been posted on the IOCCG website including a Remote Sensing Analyst positions at the Western Arctic Centre for Geomatics (Inuvik, Canada), a faculty position in remote sensing at Boston University (USA), a senior lecturer/associate Professor at the University of Exeter (UK), Postdoctoral Fellowships in Wimereux and Brest (France), the Alfred Wegener Institute (Germany), and Bermuda Institute of Ocean Sciences, and a PhD/MSc position in Cape Town (South Africa). See Employment Opportunities for further details. The Japan Aerospace Exploration Agency (JAXA) recently delivered the sixth research announcement (RA) for algorithm development, validation and application research for the first satellite of the GCOM-C (Global Change Observation Mission – Climate) series. The GCOM-C satellite, carrying the SGLI (Second generation GLobal Imager) optical sensor, will improve our understanding of climate change mechanisms through long-term monitoring of aerosols and clouds, as well as vegetation and temperature in the land and ocean regions. SGLI will obtain global observation data every 2 to 3 days, with a resolution of 250 m to 1 km. SGLI observations will also contribute to enhancing the prediction accuracy of future environmental changes by improving sub-processes in numerical climate models. The GCOM-C mission is scheduled for launch in 2016. Details of the RA can be found at: suzaku.eorc.jaxa.jp. Several new publications have been added to the IOCCG Recent References list including a paper by Lee et al. 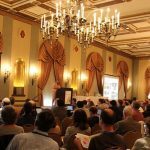 (2015) entitled “Secchi disk depth: A new theory and mechanistic model for underwater visibility”. Underwater visibility is a fundamental optical concept that is used to describe water transparency, whose measurement and interpretation have wide applications from visibility for divers to studies of climate change. The underwater visibility theory was developed 60 years ago based on the same Law of Contrast Reduction adopted for visual ranging in air, established 90 years ago. However, underwater visibility (Secchi disk depth) predicted from this theory is not found to match the observations. Through careful review of the processes involved in visual ranging by the human eye, lapses in this century-old visibility theory are discussed in the paper. Further, the Law of Contrast Reduction, a key concept in underwater visibility theory, is rewritten based on radiative transfer, and a new theoretical model is developed to interpret and predict underwater visibility. This model is subsequently validated using independent visibility measurements covering oceanic, coastal, and inland lake waters, with results showing excellent agreement (absolute percent difference is 18.2%) between measured and theoretically predicted visibility ranging from <1 m to >30 m. The new theory and mechanistic model have profound impacts on both the understanding of visibility and monitoring of global aquatic environments via satellite remote sensing. Comparison between measured and predicted Secchi disk depth (ZSD) with the mechanistic model developed following the new underwater visibility theory. The three red triangles are considered outliers (click to enlarge). In another study, Barnes at al. 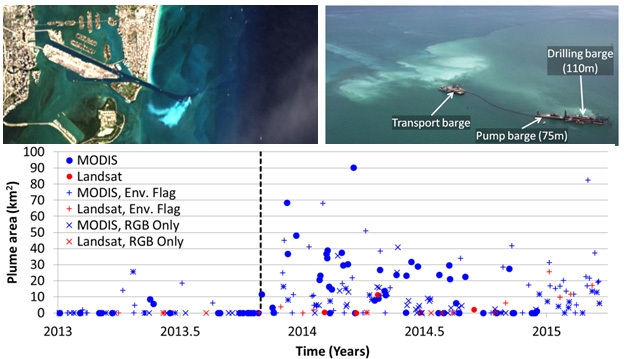 (2015) used Landsat 8 and MODIS data to estimate the size, shape, and extent of large sediment plumes induced by the Port of Miami dredging, together with environmental data to rule out other causal factors (e.g., winds, tides). Coral mortality has been reported off the east coast of Florida, possibly due to smothering by suspended particles induced by the dredging activities. The authors found that during dredging, plume spatial extent and frequency increased by factors of 5 and 4, respectively. Over 11 km2 of the coral areas was affected, with impact frequency 2 – 3 times the historical baseline. McFarland et al. (2015) examine the impact of phytoplankton and non-algal particle abundance, size, and pigment content on the spectral shape and relative magnitude of particulate attenuation, absorption, scatter, and backscatter coefficients. Their results suggest that complex morphology of large colonial diatoms may result in higher than expected particulate attenuation slopes. Furthermore their data reveal variations in community size structure and physiology that would be difficult to visualize with discrete samples or measures of total chlorophyll concentration. Landsat and aerial photograph showing the dredging induced sediment plume; Bottom: sediment plume size before and after the dredging (separated by the vertical line) from MODIS and Landsat 8 data. (click to enlarge). In a paper by Bai et al. (2015), the authors propose a mechanistic semi-analytic algorithm (MeSAA) to derive sea surface partial pressure of carbon dioxide (pCO2) using satellite-derived products. While satellite remote sensing is a very useful tool for assessing pCO2 to allow quantification of air-sea CO2 flux, the application of empirical approaches is challenging owing to the interaction of multiple controlling factors. The MeSAA algorithm proposed by the authors expresses pCO2 as the sum of individual components contributed by factors associated with pCO2variations. The primary controlling factors considered include thermodynamics (or temperature), water mass mixing, and biology. An example from the East China Sea is used to parameterize the three major mechanisms that control pCO2 variation, and demonstrate the method’s validity and applicability. The MeSAA approach includes more mechanistic information in the algorithm (deviations between predictions and observations can provide insight into less-defined mechanisms), it overcomes the effects of patchiness in single satellite images (at boundaries of different regimes described with linear/nonlinear regression methods) and has the potential to add new components without significantly changing the previous algorithm. Other related publications include papers by Graff et al. (2015) on “Analytical Phytoplankton Carbon Measurements Spanning Diverse Ecosystems”, Knaeps et al. (2015) on “A SWIR Based Algorithm to Retrieve Total Suspended Matter in Extremely Turbid Waters”, Signorini et al. (2015) on “Chlorophyll Variability in the Oligotrophic Gyres”, and Garaba and Zielinski (2015) on “An Assessment of Water Quality Monitoring Tools in an Estuarine System”. 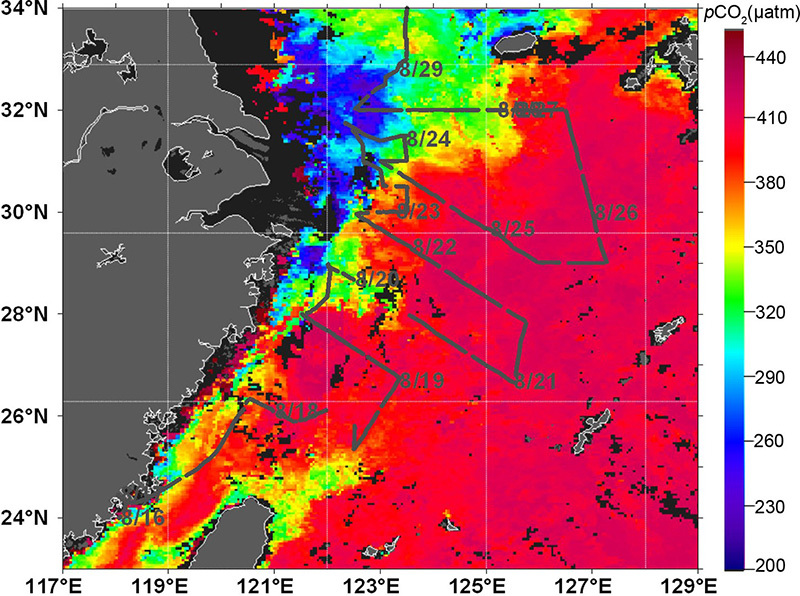 Sea surface pCO2 in the East China Sea using the MeSAA algorithm with satellite data from 16-31 August 2009. Cruise track overlaid (click to enlarge).